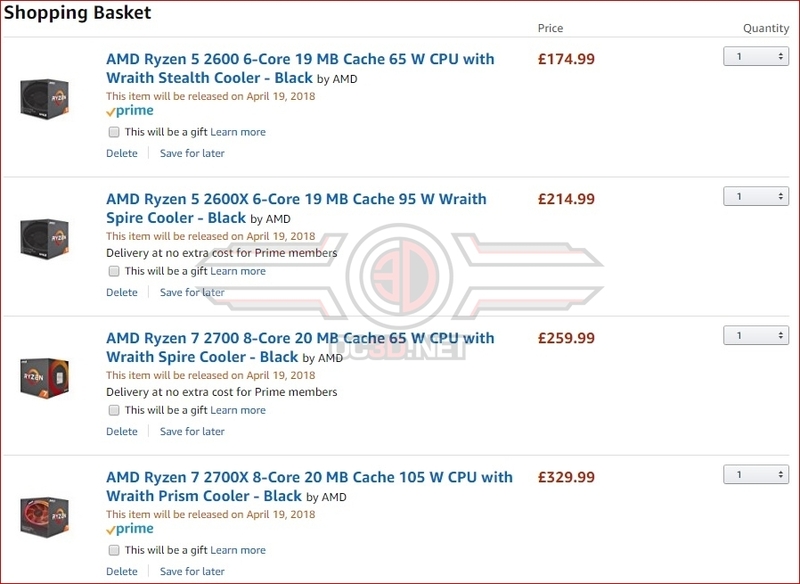 Ryzen 2 is a lot cheaper than Ryzen was at launch! Special thanks to g0ggles1944 for the info. Read more about Ryzen 2nd Generation's leaked pricing. Still wouldn't put it passed them to bring a higher clocked 2800X out. Is this not a certainty? Have they said the 2700X will be the highest performer? AMD has not confirmed their naming scheme or specification yet. Yeah nothing official on 2800x yet. They may still be binning, or, won't bother. I know TDP doesn't always work linearly, but the 2700X is already 10W higher than the original 95W 1800X, so maybe the 2700X is the max AMD are expecting to be able to reap from the 12nm shrink. Will they want a CPU that has a higher TDP than 105W on the market for a non-enthusiast segment? The 8700K is 95W. That's their main competition. I would imagine AMD want to put their best feet forward, and to me a balance of TDP and clock speed would be their best foot. Ryzen is very efficient. I don't think they should mire that by pushing the clock speed up marginally. TBH, I wouldn't bother if I was AMD. The 1700X and 1800X had nothing to differentiate themselves aside from price. The difference between the two was minimal and both overclocked the same, so the 1700X cannibalised the sales of the 1800X. The 2700 and 2700X are different enough to justify the places of each on the market, but in all, I think it would be a wise move from AMD to skip the 1800X. It would be like Intel released an i6 8650K that has six cores and 12 threads and overclocked the same as the i7 8700K and 200MHz lower base/boost clocks and a £50 price reduction. People would just buy the hypothetical 8650K as it is both cheaper and is practically identical when overclocked. Yup and another thing is if they have to make 2800x that's another SKU they need to fulfil with stock, meaning they are lower on cores for other parts (TR, lower end SKUs that sell more of) and so on. They basically released three almost identical CPUs (1700, 1700x and 1800x) at wildly different price points but if you spent an afternoon learning how to OC it really didn't take long after that. TBH man I think zero actual chuffs were given about power consumption. All of the people I knew who bought a 1700 said "yeah, that's nice" before shoving them full of volts and clocks lol. It's cool for ITX of course, but we can see how popular that is by just looking at how much the manus have bothered making boards.